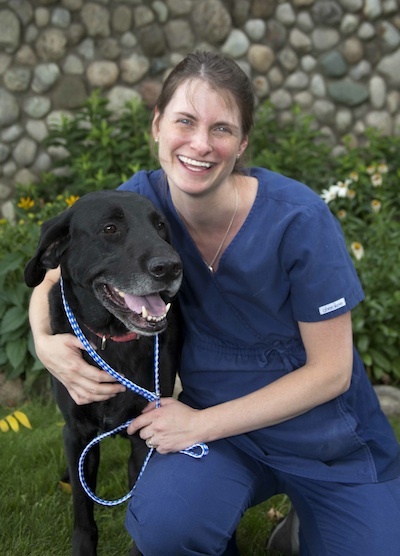 Dr. Katie Zayaz graduated from Michigan State University’s College of Veterinary Medicine in 2003. After graduation, she completed a small animal internship program near Washington, D.C. at the South Paws Referral Center. Following her internship Dr. Katie spent two years at the Veterinary Specialty Center, an emergency referral hospital outside of the Chicago area. She moved to Traverse City in 2007 to be closer to her family and became a member of our team. Dr. Katie and her husband Joe have two young children and are expecting their third child very soon. The Zayaz family share their home with a very tolerant cat. When her children allow her time, Dr. Katie loves reading and gardening.